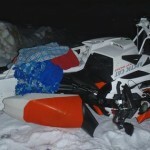 Deadly snowmobile accident in Byron, Maine. 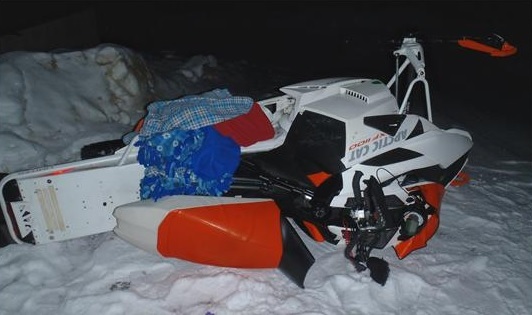 BYRON, Maine (NEWS CENTER) — The Maine Warden Service responded to a total of five snowmobile crashes since Friday evening, including two fatal incidents. Warden Brock Clukey says the first call for one of the fatal accidents came in a little after 11 p.m. Friday. Original reports said there was a severe accident involving a truck and a snowmobiler on East Branch Road in Byron. Upon arrival, Wardens found 34-year-old Leonardo Rodrigues of Everett, Massachusetts had struck a parked plow truck at the end of the private road. Clukey said Rodrigues was transported to Central Maine Medical Center via LifeFlight. Rodrigues died during surgery from his injuries.